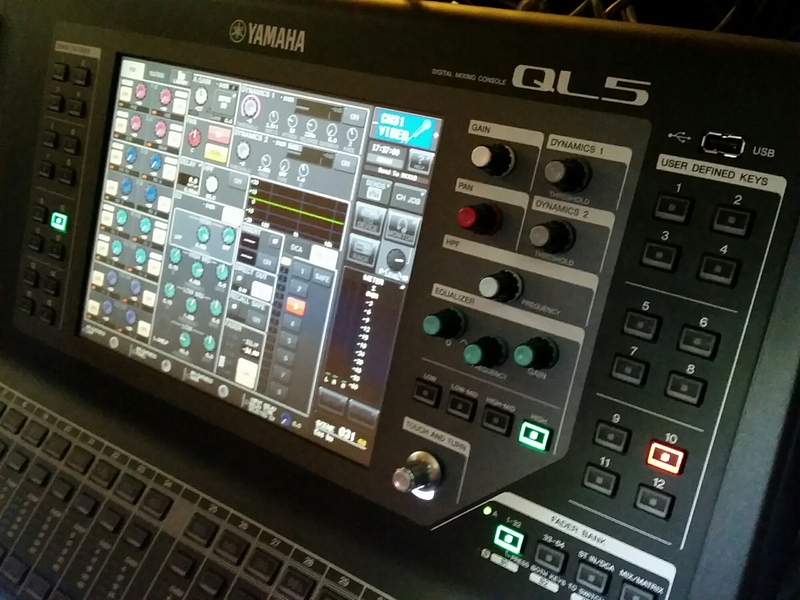 I had my hands on this beautiful QL5 from Yamaha this past weekend for a live event featuring Selim Reza. The console felt very much like an LS9 and the commonality between the two mixers had me sound checking the artist in minimal time without any qualms. The fx processor allowed us to put out some really smooth sounding delay and reverb effects and after a bit of exploration in the menus I could see that this digital mixing board would fulfill a technician’s needs for even the most complex live sound production. 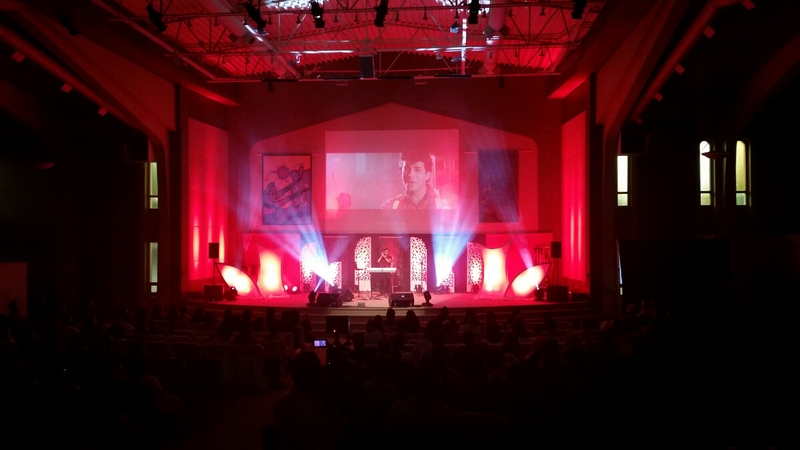 Our lighting production featured six moving fixtures and fifteen LED par lights to illuminate the custom designed stage pieces. 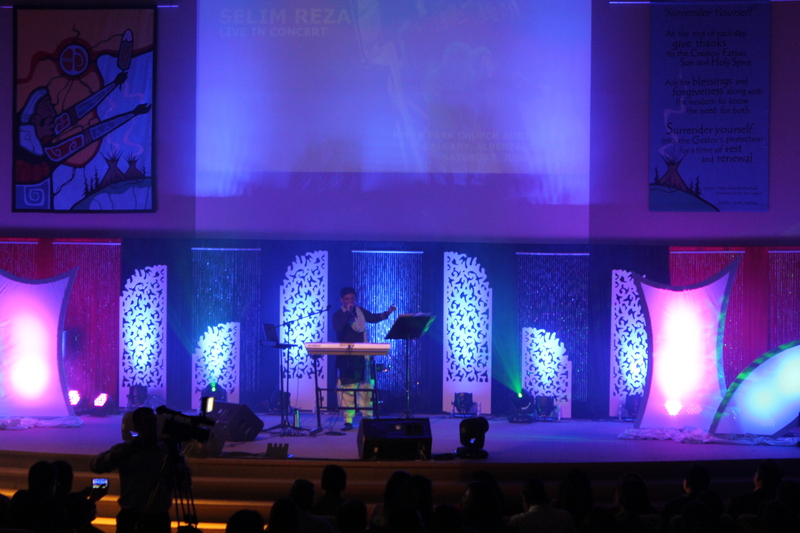 The set design was well thought out, planned and executed by the events organizer Shuvro Das Shuvo. A touching moment for me occurred at the end of the night when Shuvro thanked me personally for helping him to realize his vision. He said it was what he had in mind back when we initially had our site visit three months before the event. This is all I want to hear from our clients and I was flattered that he mentioned me to those in attendance at the event. Special thank you to Tony at the River Park Church for accommodating us. He helped us to tap into the in house sound system which we augmented with two QSC K10 speakers, two KW181 QSC subwoofers and three QSC HPR122i. It felt like we were just getting into the real swing of things and the event was ending. Those are always the best shows, when the time goes unnoticed because the performance is so engrossing. Thank you to Shuvro and Selim for trusting us with their vision. We are thrilled that it was fulfilled as expected.